When you are looking for a family dentist in the Castro Valley area, it is important that you select someone who can meet the varied needs of each member of your family during every stage of development. This makes taking time to select the right family dentist a worthwhile endeavor. If you have questions while looking for a family dentist, we welcome an opportunity to discuss them with you in person or over the phone. Please contact us online or by calling 510-582-8727 to schedule a consultation and learn more. There is a difference between general and family dentistry. While many of the services provided are similar, a family dentist will offer treatments to patients at a much younger age, enabling him to build a relationship of trust with smaller children. This is essential for long-term dental health. Phobias and anxiety that can surround dental visits as an adult often start in childhood. Selecting a family dentist who understands this and works to make patients of all ages feel safe and cared for is one of the most effective ways to instill a sense of comfort with the dentist that lasts for a lifetime. Offering a wide range of services enables your family dentist to provide a single office in which your family’s oral health and beauty needs can be met. This ensures your family dentist fully understands all of your needs and can better personalize treatment options to produce the smile you deserve. 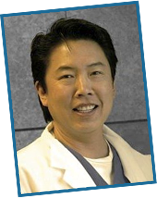 Dr. Fong is a family dentist serving the Castro Valley area of California. Offering the safest and most advanced restorative options including white fillings and porcelain dental crowns, Dr. Fong is dedicated to providing strong and appealing restorations for every member of your family. Dr. Fong provides services for children as young as two and can even schedule entire families for the same appointment time for increased convenience. If you are looking for a family dentist in the Castro Valley area, please call 510-582-8727 to schedule a consultation with Dr. Fong and learn how we can help your family achieve optimal oral health and beauty.